ThirdEdge Properties is a Real Estate Investment Company that purchases and rents single and multi-family homes in the Butler County OH area. 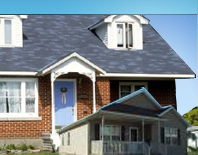 We buy houses from people in situations like yours in any area and price range. We are not a Real Estate agency, and we do not want to list your house for a commission or fee! In fact, you don't even pay us anything! Whether you need to sell your house quickly, or just want to avoid the high costs involved when using a real estate agent, ThirdEdge Properties can help! If your home has a sufficient amount of equity, it may qualify for an ALL CASH OFFER! Even if you have no equity at all, many times, we can take care of the financial burden, and assume the existing debt so that you can get on with your life and never have to worry about your house again! Don't put off making a fresh start. Remember, there is no obligation to sell your home if you are not satisfied with our offer.